One of the great things about Test cricket is that it is often difficult to tell which side is winning. "You can't tell what sort of pitch this is," goes the maxim, "until you've seen both sides have a bat on it." There is a valid argument here, and sometimes a first innings does little more than frame the contest. But other elements of the game besides the score - the intangibles such as momentum, confidence, aggression and injustice - are all determined from the first ball of the match. This is to say that opening partnerships are vital. They set the tone. No wicket is more important than the first one, no score more ominous than 100 for 0. 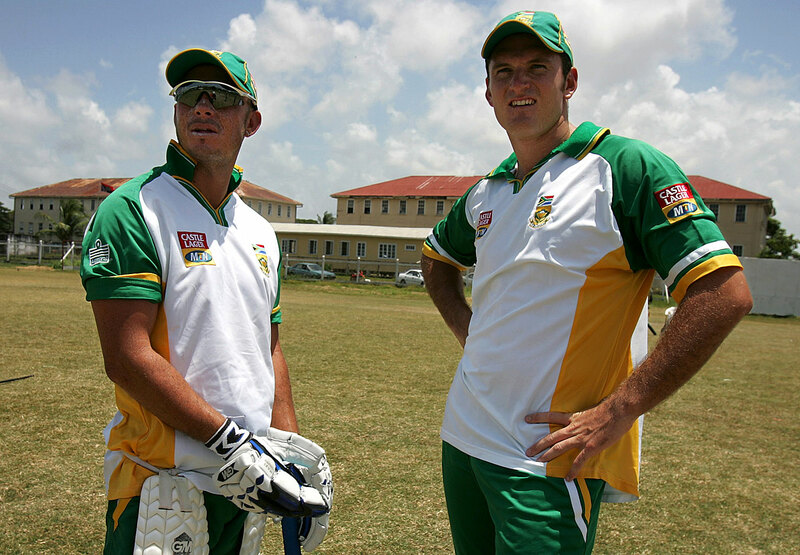 When it comes to really big stands, one name reoccurs: Graeme Smith. There have been 13 opening stands of 300 or more, and Smith appears in four. He has a share of the biggest (415 with Neil McKenzie) and has three triple-century partnerships with the unpredictable live wire Gibbs (no other pair has more than one). Of the three, the 368 against Pakistan was comfortably the most entertaining. Pakistan were, admittedly, a shower. They lost the first Test by ten wickets and this by an innings. They lost their entire match fee for bowling so slowly. But how else could they contend with Gibbs when his famously fast hands and scattered brain clicked in sync? He bullied Waqar Younis and Saqlain Mushtaq with a range of shots that "caused grown men in the stands to miss their mouths with their sandwiches", according to Wisden. Smith's 151 was more restrained but no less lordly. History records him as an ugly player. But he was also an unyielding one. The Test with the most famous ending of all also had a beginning to remember. Those of a curmudgeonly bent might say that the most important moment came before a ball had been bowled, when Glenn McGrath rolled his right ankle in the warm-up. In a weird attempted double bluff, Ricky Ponting stuck England in, as if to demonstrate that his side could duff them up under any circumstances. He was wrong. Strauss and Trescothick took advantage of some non-McGrathian lines from Brett Lee and Jason Gillespie and launched one of cricket's most famous attacks. Shane Warne was brought in after only 13 overs; Trescothick hit him back over his head for six. Warne then got Strauss on the brink of lunch with a big legbreak, but by that point England had made 111in 25 overs and were ahead of the game, and back in the series. Imagine playing in a team that has lost 57 out of its 66 matches. Imagine returning to a ground where, on the only previous occasion you had played, you lost in less than three days, by an innings and 260 runs. Keeping morale up, giving your all - the bare minimum we expect of professional sportsmen - is more difficult than it should be. In this match, Bangladesh's openers had the incentive of playing at the home of cricket, but the signs were ominous after Jonathan Trott took England to a first-innings 505, dashed off at more than four an over. Geoffrey Boycott, watching, said Bangladesh didn't belong in Test cricket. Tamim and Kayes, 21 and 23 respectively, had to fashion a response. Judging by their initially leaden footwork and wild heaves, they were so nervous it was a wonder the rest of Lord's couldn't hear their hearts thumping. But after eight overs of very skittish cricket, Tamim settled and crashed Tim Bresnan for three boundaries in six balls. Three overs later, Kayes got stuck into a rusty James Anderson. 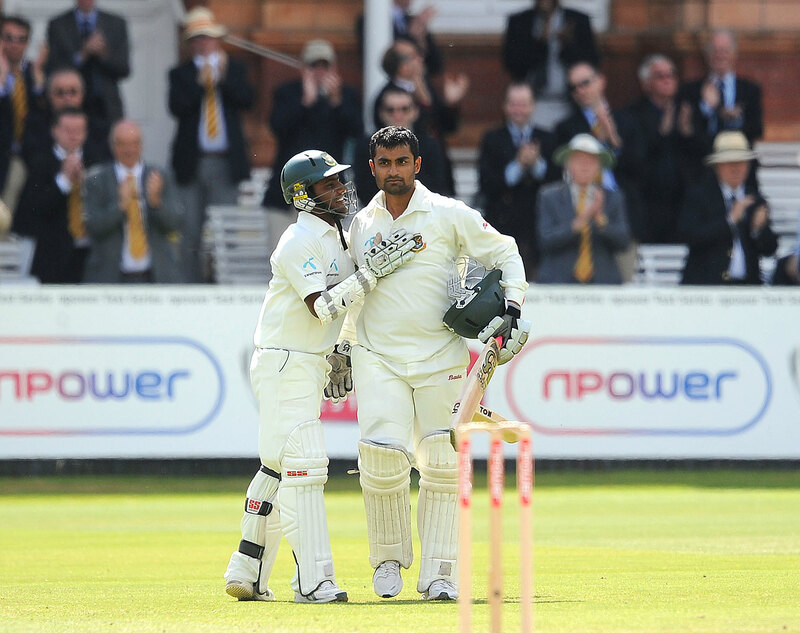 Tamim reached a quick 50 in the 22nd over before he was run out by a direct hit from Kevin Pietersen. Regardless, the 88-run stand settled the nerves. As if to demonstrate that fact, the pair put on 185 in the second innings, with Tamim making an outrageous, flamboyant century from 94 balls. Bangladesh still succumbed to loss number 58, but they had proved a point. While on the subject of failure, an 83-run opening stand in an innings defeat doesn't seem especially worthy of praise. 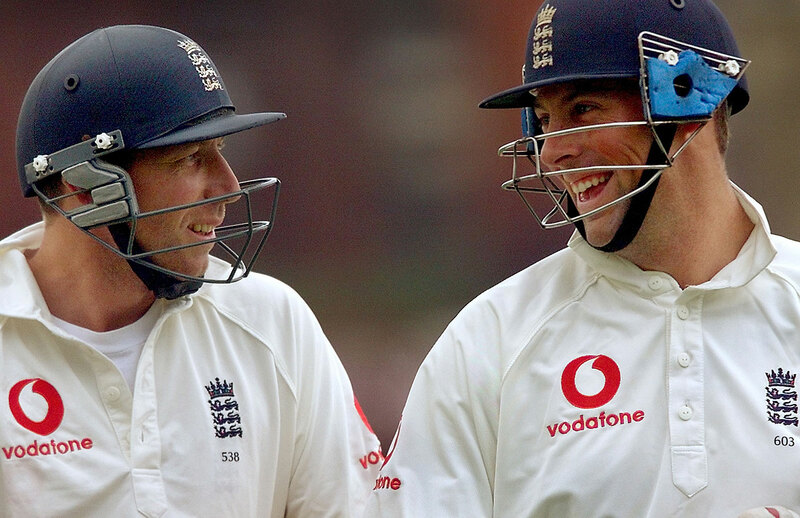 But Atherton and Trescothick's mini-masterpiece in Galle set the tone for one of England's finest series wins. Everything was against the tourists: suffocating humidity, a boisterous opposition, and a slump to ninth in the world rankings. By the end, England were convinced the umpires had it in it for them too. It was open conflict disguised as cricket. Marvan Atapattu's unbeaten double-hundred meant Sri Lanka kept England in the field for 170 overs - hardly the ideal start to a Test series. England, with the added pressure of a long tail, needed the top order to hang around. On his previous overseas tour, to Pakistan, Atherton had done just that as leading run scorer, with a strike rate of less than 35. Here he showed his junior partner, a green Trescothick, how to negotiate Chaminda Vaas, Muttiah Muralitharan, Kumar Dharmasena and the rest. Trescothick went on to make his first ton, and though he shared another painstaking partnership with Atherton in the second innings, there was little resistance beneath them, and England lost by an innings and 28. The tour was far from over. Lionhearted bowling from Darren Gough and some middle-order accumulation got England a win in Kandy, and then two not-outs from Graham Thorpe sealed the series in Colombo. But England would never have found the necessary application and grit had "Cockroach and Banger" not shown the way in Galle. A fine example of cricket as a game that punches you in the face, and then, for good measure, kicks you in the nuts. For 20 years, touring the Caribbean was like playing football at Old Trafford. Teams arrived already beaten. Graham Gooch's England had more reason than most to be cowed. They were on a mind-boggling run of one win in 25 Tests, while their opponents hadn't lost a series in a decade. Yet an attack of Devon Malcolm, Gladstone Small, Angus Fraser and David Capel somehow outbowled Ian Bishop, Courtney Walsh, Malcolm Marshall and Patrick Patterson, for a nine-wicket win in the first Test. An abandoned game, a draw and a loss left the series all square with one to play. Part of England's success had been subduing West Indies' GOAT opening pair of Gordon Greenidge and Desmond Haynes. In the first four Tests, they managed only a single substantial score between them: Haynes' 109 in the fourth. 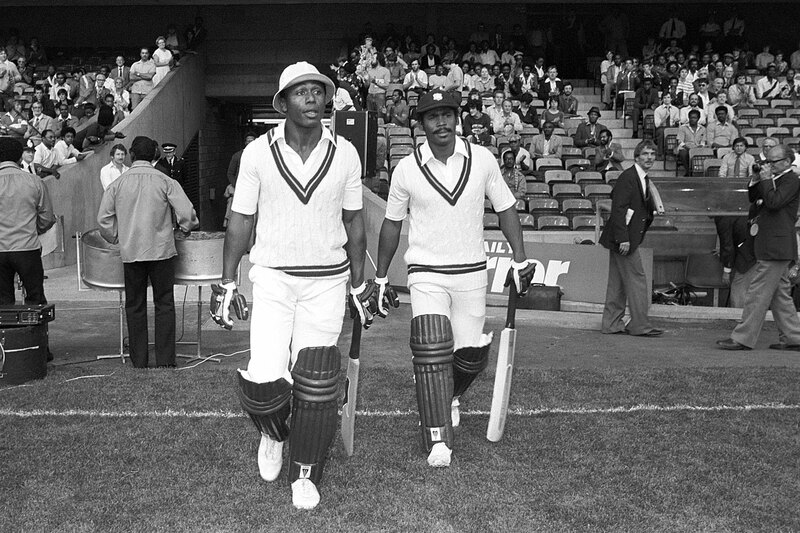 Yet when England were still hopeful of a truly remarkable series win, the pair pulled out a partnership for the ages. Nearly 300 runs were plundered as England finally succumbed to the psychological torture of playing cricket in the Caribbean: the heat, the cacophony from the stands, the imminent threat to life of facing Marshall and pals, the tired muscles, the aching brains. The bowlers sprayed the ball around and were duly punished. England ended the tour with an innings defeat, and just a modicum of pride.